The Philadelphia Museum of Art Library and Archives has an exciting new installation, “Do It Yourself: Participatory Art in the 1960s and 1970s,” that showcases artist books, exhibition catalogues, mail art, and photographs that document the active role of artists and viewers during the Pop art movement. 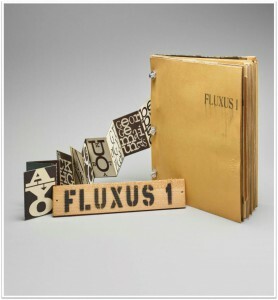 In conjunction with the Museum’s International Pop exhibit, this installation offers a unique behind-the-scenes glimpse of exhibitions during this time and exceptional pieces that held great importance for the international Fluxus community and others. Visit the Perelman Building’s Library Reading Room after your time at the International Pop exhibit to explore the publications of Something Else Press and Gemini G.E.L., and enjoy works from artists like Richard Hamilton, Jasper Johns, Christo, Yoko Ono, and more.